ADDITIONAL HOTEL ACCOMMODATIONS FOR FRYE-MASON REUNION VACATION! Call 989.448.7373 *** Use booking code LEM for the Frye-Mason Group. Brand New Hotel - Just Opened on June 7. Complimentary Hot Breakfast for all Room Occupants: link sausage, turkey patties, bacon, eggs, omelets, oatmeal, yogurt, fresh fruit, coffee, juice and more. 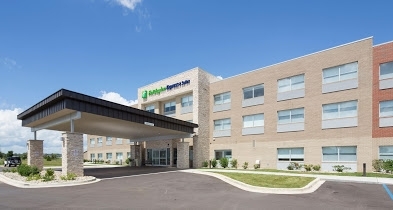 The Holiday Inn Express & Suites, Gaylord, MI is located off I-75 going north approaching Boyne Mountain. It is just 25 or so minutes before you get to the Boyne location. SPECIAL NOTE: RESERVATIONS ARE CLOSED FOR THE BOYNE MOUNTAIN LOCATION. BUT, FEAR NOT... WE'VE GOT YOU COVERED --SEE HOLIDAY INN EXPRESS INFORMATION ABOVE. Reserve Your Room Online Here. The links below provide information to make your travel to Boyne Mountain Resort more accommodating. I. Cherry Capital Airport is the nearest airport serving the area and is just an hour away. Follow the "Air and Car" link at the bottom of this page. II. Boyne Mountain Resort, host site of the reunion, and the Boyne Falls area, abound in a variety of activities for every interest. See "Things to Do" below. III. Exceptional Value. Superior Comfort and Convenience. 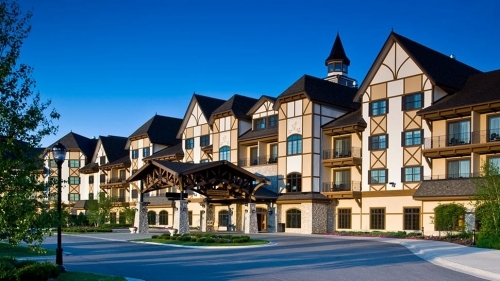 We obtained some outstanding prices for our stay at Boyne Mountain Resort. Our best deal is a three bedroom suite for just $210 per night. This suite houses up to 11 people! Go figure, three families could easily stay here and get a tremendous price break! That is an absolute steal! But remember to book NOW to take advantage of it. Everyone doesn't need a suite. So, two other rooms are also available at $120 per night. Again, this is a great price. These rooms sleep up to 5 people. Make your reservations TODAY! Read details on hotel rooms under the "Accommodations" link below. Call 800.462.6963 OR Reserve Your Room Here. Hotel booking deadline is June 18, 2018. Book at the Mountain Grand Lodge. This is the best hotel on site. Best room availability is now and could run out! We only get more rooms released after we book the current block. Book fast... now... so other groups don't get the rooms that could be ours! Current room availability is at the Mountain Grand Lodge (MGL). Frye-Masons, I strongly recommend that you book at the MGL since it is the most modern and spacious, has best rates, and provides most activities and best amenities of all accommodations at the Resort. Additional rooms are only being blocked after the current block is reserved. All large group Reunion activities are at the MGL. Therefore, book early to ensure your room is at the MGL. Rates are per room, per night. Rates, and a 9% Resort Services Fee, are subject to a 6% Michigan State Sales and Use Tax. Rates are also subject to a 5% Local Lodging Assessment. Cots may be secured for no charge if requested when you first book. Requests for cots after booking will be charged a flat fee of $15 per stay. A two-night minimum stay is required on weekends (Friday and Saturday night). If a room is not booked for the two-night weekend minimum, a Friday or Saturday stay may be billed a higher rate rather than the Reunion rate. Check in and check out occurs at the Mountain Grand Lodge and Spa Front Desk. Check in is at 5:00 p.m.; check out is at 11:00 a.m.
For reservations, call 800.462.6963 and ask for the Lem and Elsie OR Frye-Mason Reunion room block. Remember, the dates are July 18 (check in) through July 22 (check out). An online reservation link is coming shortly and I will share that when it becomes available. All reservations must be received on or before June 18, 2018. After the cut-off date, the hotel will determine whether or not it can accept reservations, based on space and rate availability, at the Reunion group rate. A deposit of one night’s room rental is required when first calling in a reservation. A no-show on your confirmed reservation date will result in forfeiture of the total deposit amount. Late check in may be possible until 12 a.m.
Room cancellations received seven (7) or more days prior to arrival date will allow a refund of the deposit minus a $10 administrative fee. Room cancellations within seven (7) days or less of arrival date will result in forfeiture of the entire room deposit. Check out by 11:00 a.m. on day of departure, or a half-day rate will be assessed. For check out after 6:00 p.m., a full day’s rate will be charged. Boyne Mountain is a smoke free facility.